Kevin Hudson is a results-oriented sales executive with a distinguished track record of success in sales, sales training, sales management and corporate account management. Kevin Hudson is a results-oriented sales executive with a distinguished track record of success in sales, sales training, sales management and corporate account management. With more than 25 years of experience as a sales representative, sales trainer, area sales manager, district sales manager, director of sales, and VP of sales for national and international human capital management, payroll and business retail organizations, he has played key roles in driving revenue growth and developing talent. Kevin is highly effective in creating and implementing sales programs and initiatives that drive sales success and improve process effectiveness throughout organizations. In addition, Kevin provides business, leadership and management coaching to entrepreneurs, supervisors and executives while delivering guidance on vision alignment, gap analysis and execution. Kevin began his professional career at ADP, one of the world’s largest payroll and HR outsourcing solutions providers. During his 13 years at ADP, Kevin’s hard work and determination paid off, resulting in five promotions and six President’s Club awards (a premiere award for top performing employees). Following his successful career at ADP and preceding the establishment of Keylan Management Group, Kevin worked for PeopleSoft as a corporate sales manager, with Staples as a district sales manager, and finally with CPI-HR as vice president of HCM sales, marketing and operations. Overall, Kevin has a track record of consistently exceeding quota during his career. Since 2012, Kevin has provided outsourced sales management, sales training, coaching and consulting to organizations through his consulting business. Currently, Kevin is Founder & President of Keylan Management Group, a consulting firm providing sales training, fractional sales management, sales recruiting and leadership development workshops for organizations seeking to strengthen internal culture and enhance talent management. Kevin is married with three children. He enjoys basketball and coaching youth sports. Kevin and his wife have led a marriage life coaching business since 2007. 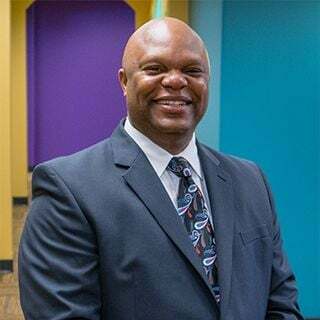 He serves on the strategic advisory boards for Willory LLC, a payroll and HR staffing and consulting firm, FOATA, a non-profit organization dedicated to providing leadership training and development to ministerial leaders and YMCA of Euclid.